Del Frisco’s Double Eagle Steak House was born more than 20 years ago. Since then, our vision has remained the same: to embody the rich tradition of the classic American steakhouse, with our impeccable chef-driven cuisine, extensive award-winning wine list and unparalleled hospitality. The cornerstone of the Del Frisco’s Double Eagle Steak House menu is aged USDA Prime Beef. We serve only the best hand-cut steaks, chops and freshest seafood, including Australian coldwater lobster tails. We use the freshest ingredients to create mouthwatering appetizers, flavorful side dishes and irresistible desserts. Our sommeliers are on hand to guide you through our extensive wine list, and our bartenders will lift your spirits with hand-shaken martinis and handcrafted cocktails. We offer our guests an unforgettable experience in a stunning, energetic atmosphere perfect for special occasions, business affairs or a grand night on the town. Awesome!!! Great food, great service. It was pretty good. I told them about the Nift Certificate when ordering and wonder if that is the reason I got the steak that was pretty much all fat. Some is good and important. It did not live up to the restaurant's expectations. Still, I loved the Nift cerfiticate. Service was amazing. Food was absolutely delicious, perfectly prepared. And they brought out a delicious free dessert for my colleagues birthday. Good food & services. May be more choices of desserts - the cheesecake & chocolate mousse were 't so good, everything else was good. Thank you. I was pleasantly surprised how good the food was. It was a bit oversalted, but overall the texture was good. Thanks so much for the Nift gift! I love the food at Del Frisco's but the service in the bar area was not very good. Waited at least 15 minutes to put a drink order in. Great location, food was awesome, loved the vibe! We had two dishes which were polar opposites. One was so good I would request it as a last meal, and the other was so bad I questioned whether I should send it back. Good service. Nice atmosphere and view. Food was good, but over salted. The food and service was good. The prices of the food are on the pricey side though. Del Frisco's is amazing. Great food and great service. Best restaurant in the Seaport. I had only take a bite of my meal and I was already thinking when can I come back here. the steak was perfectly cook but the seasoning they used really made it sing. I ordered the business lunch and it was the perfect size so I was not stuffed coming back to the office. It was a wonderful experience, the staff was friendly but not hovering. The views of the ocean were unobstructed and only enhanced the experience. Great meal. Very attentive staff. Energetic noise level on a very busy Saturday night. Amazing water views! It was tough to figure out how to use the Nift certificate toward the bill (I couldn't remember and the waitress had to call the DelFrisco's in the Seaport ri find out how to use it). Other than that service was excellent. It was delicious and our server was great! We had a very nice dinner with great food and attentive service. Look forward to visiting Del Frisco's again! A little pricey, but the salmon was excellent. I would recommend going for lunch. My only complaint was that no one at Del Frisco really knew what to do with my Nift gift certificate! Otherwise, it was a fun lunch visit! Outstanding service. Excellent meat. Great wine list. The steak and dessert were good! The service was slow and the waiter did not seem attentive to my guest and I . Great food, very very expensive. $25 off isn’t much at all for this place, but the food and service was excellent. Great lunch menu. Attentive staff. Delicious food. A little pricey. Beautiful aesthetic and tasty drinks! Great steak, great service, amazing view! The food and service were great, the restaurant is quite nice but the din of the crowd was quite opposite what we anticipated - it was far too loud on the main floor at 7:15-9:15 PM on a Thursday for the romantic anniversary dinner we were looking forward to. We had to shout across the table to be heard and our server, who was very good, also had to shout. Definitely too much noise for a quiet dinner conversation, but definitely a culinary treat. The food and service were both excellent! Great nift, brought me to a restaurant wouldn't have normally gone too. Prices were so high I won't be back. $16 a drink!! Really friendly service and delicious apps! Delicious meal and great service! Great date restaurant with beautiful water front views, and the best service! Crab cakes were delicious! Great atmosphere. Terrific drinks. Attentive service delicious appetizers. Great for a business lunch with nice view. Absolutely LOVED! My favorite restaurant in Boston, and would love another Nift to this place! Zan, my waiter (jokingly referred to by bartender Ty as "Sher"), was very welcoming and I had a very enjoyable business lunch while liking over the harbor. Thanks a bunch! Expensive but great for special occasion. Sea bass and filet were incredible. I'll be back. Awesome dinner! Great service too! My server was amazing she was attentive and made sure I was enjoying everything. I would recommend this restaurant from a scale of 1-5 at a 5. My meal was so delicious! I will definitely be treating myself to lunch there more often. Got a dirty plate to start but steak more than well made up for it. Bartender(forgot his name-but from Ireland)was beyond awesome! Food was very good and the service was friendly. I do hate getting a bottle of soda rather than right out of the fountain. Seems chintzy. Great food and exceptional service! Great service and food as always. We were very much impressed by the overall experience. The food was well-seasoned, the ambiance was nice, and our server Derrik was super friendly and attentive. We would definitely recommend this place to others! Had some tasty aps at the bar. Definitely get the kettle chips! Very good food, fancy (but pricey). I had a great meal today at Del Frisco's. The salmon was delicious. The food was delicious and our server Molly was fantastic! We will be back soon. The Nift was great! I enjoyed excellent food and the process to redeem the Nift was quick and easy. Delfriscos provided us an awesome lunch! It was delicious, def will have to go back there in the future! Both the food and the service were well done. I will definitely return. 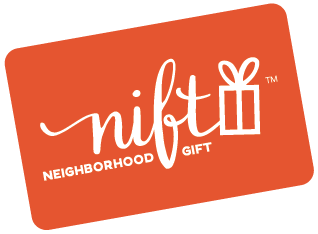 Although the meal was very good, the restaurant seemed to have difficulty applying the nift gift certificate. The wait for the final bill was unusually long and, as a result, we were unable to leave our business lunch, which had a 12:30pm reservation, until after 2pm. Great menu options for the business lunch! The staff was very friendly and checked on us frequently. In addition to our waiter, 2 other staff members stopped at our table/greeted us on the way out. The food was very good and the plating was very fancy. Definitely would eat here again. The waiters were really nice and I really enjoyed the food! Lunch at Del Frisco's was excellent. The wait staff and management were the highlight of the experience and the food was delicious... plus we went on a really nice day and were able to sit outside and enjoy the weather! Food & service were both great!! Would love to go back. Even though this was a complimentary meal, we were seated by the ceiling to floor windows, and we enjoyed the waterfront view with the delicious food! My friend and I loved the business lunch for two. We both got the lobster bisque (tons of lobster) and filet medallions with mashed potatoes and green beans (so delicious)! The view and service were great! The food, view and atmosphere were great! delicious lunch and stunning view! Fabulous restaurant. The staff was amazing and the food was incredible. Great business lunch! Will be back. Lovely setting and attentive staff. I really enjoyed the chance to catch up with a friend. Thank you. The restaurant is beautiful and the staff is very attentive. Our server John was extremely friendly and helpful. Our food was delicious! I appreciated that they had us cut our steak in front of them before we ate it to make sure that it was perfectly cooked! Overall, a lovely dining experience and we will absolutely be back! We wouldn't have known about the business lunch deal if we hadn't gotten this nift! The food was fantastic and the wait staff sublime. Stellar service and delicious food! Great food & overall experience! The food, service, views, cleanliness, and interior attractiveness were superb. The Business lunch was absolutely delicious. The service was excellent. TIm, our server was very attentive. Service was fabulous and the food was extremely delicious! Would definitely come again and recommend it ! It's was a great gift! Del Friscos's business lunch was a wonderfully treat. The wait staff was very professional and kind. The view was amazing. I had never been to Del Friscos prior to this visit, I will definitely returning; the food was exceptional! This place was really nice, and the food was great. Fantastic service as always. I wish I got the steak medallions instaed of the Salmon. The salmon lacked seasoning. I enjoyed my lunch with a client today at Del Fresco's in Boston. We both had the lobster bisque, salad, filet and dessert. Everything was very good except I felt my filet was very grainy and not up to the stand I would expect at Del Fresco's. I like a very tender filet and I didn't feel like it was. Our server was excellent and the view was fantastic. The business lunch was a great value, food was delicious, and service was on point. Thanks for a lovely Friday lunch! It was amazing. The service was awesome and very professional. Everyone was so kind and the food was incredibly good. I will definitely be going back to Del Friscos. The emails reminding us to use the gift card could have been more informative. I wanted to know what was going to happen when I pushed redeem in store. I wanted to know I didn't need to make a reservation. Other than that, it was easy to use and a great gift! Great value, service, wine list, and quality. Will go back for dinner! The business lunch was great with a nice view of seaport! Thanks Nift! great food, great staff. Derrik was awesome! Amazing food, service and ambiance!! The filet medallions were perfect. The sides were a little boring, though. The chicken piccata a tad overcooked but the sauce made up for it. The salad was awesome! I already told a few people about it. The food and service was great! We loved Del Frisco's and hope to return soon. The food was awesome, the service fabulous, and the location convenient with valet parking. 5 stars all around and many thanks to you! Amazing service by Derrick! Great food! Thanks! Way better than other similar options in the area.